As the first and thus far only large international art fair, the Discovery Art Fair unites presentations from galleries, project spaces, and individual artists on equal footing under one roof. As part of our carefully curated Artist Section, up-and-coming international artists will present current items from all areas of contemporary art. 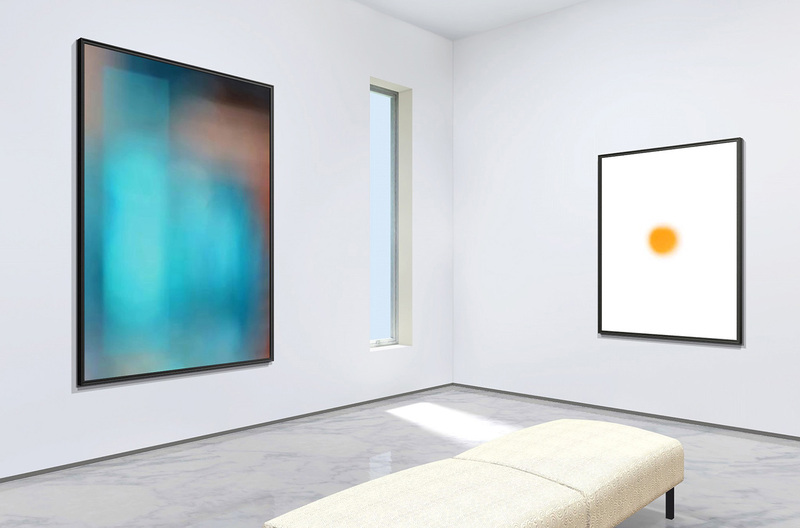 You will have the unique opportunity to personally meet the artists and talk with them about their work directly at their booths. At this point we would like to present to you in advance ten highlights from this year’s Artist Section in more detail. 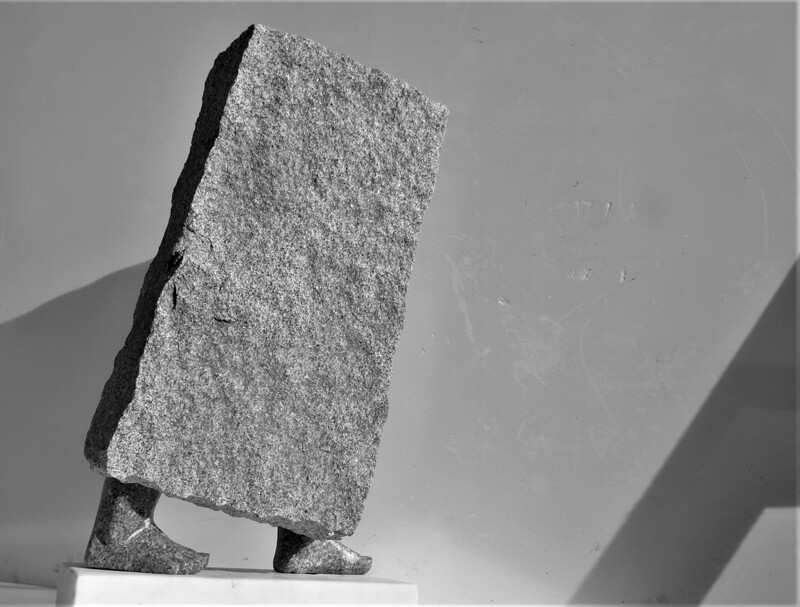 If granite grows feet and learns to walk, then Andrej Haršány is at work. The Slovakian sculptor explores the boundaries of sculpture in the pieces he makes from classic and at once timeless materials like wood and stone. The poetic character of his work comes from a combination of minimalism and the artist’s personal fascination with the human body. The up-and-coming Hamburg-based painter Gregor Kalus captivates with his black-and-white ink works on paper. In his abstracted portraits he is able to capture the nature of a celebrity in such a way that it is difficult to find a viewer who doesn’t recognize the person depicted, even though their facial features are mostly concealed. 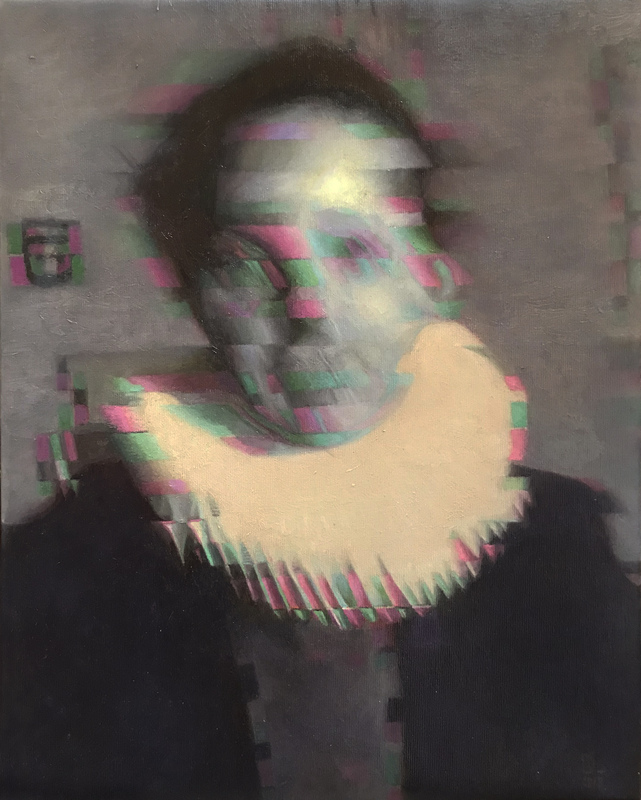 The focal point in the oeuvre of Chilean painter Diego Palacios are the portraits that reveal an approach in the style of the old masters, but which are ruptured by contemporary subjects and elements of digital image editing. 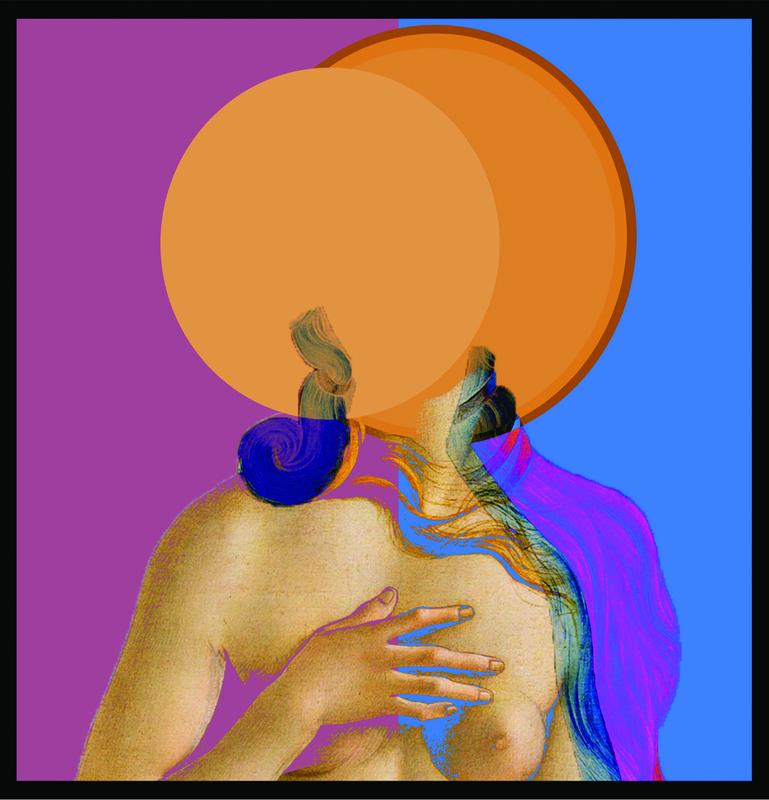 As a result, seemingly familiar characteristics are broken by glimmering color effects, contortions, and reflections of the faces. 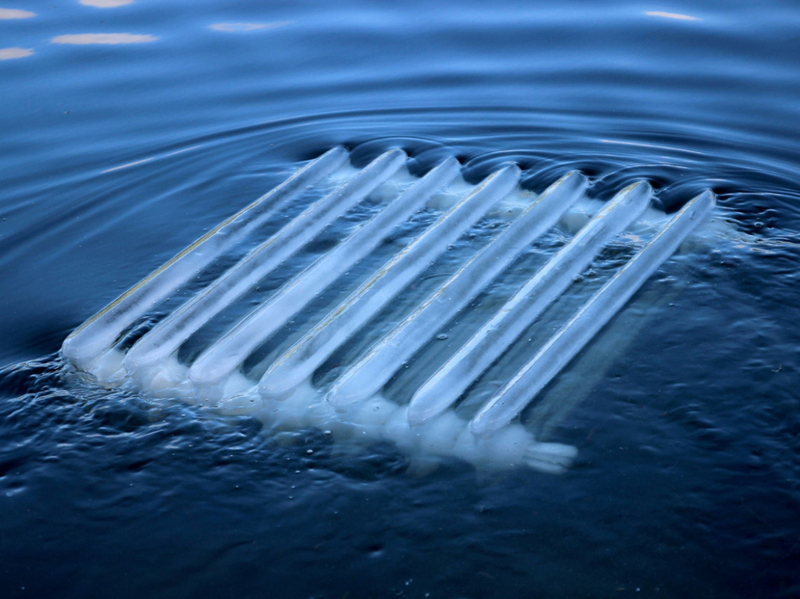 Sure to cause a stir are the works by Leipzig-based sculptor Rainer Jacob, who speaks of “three-dimensional street art” with regards to the thought-provoking works he places in public space, such as his gradually melting ice sculpture of a radiator that will wow the viewer. 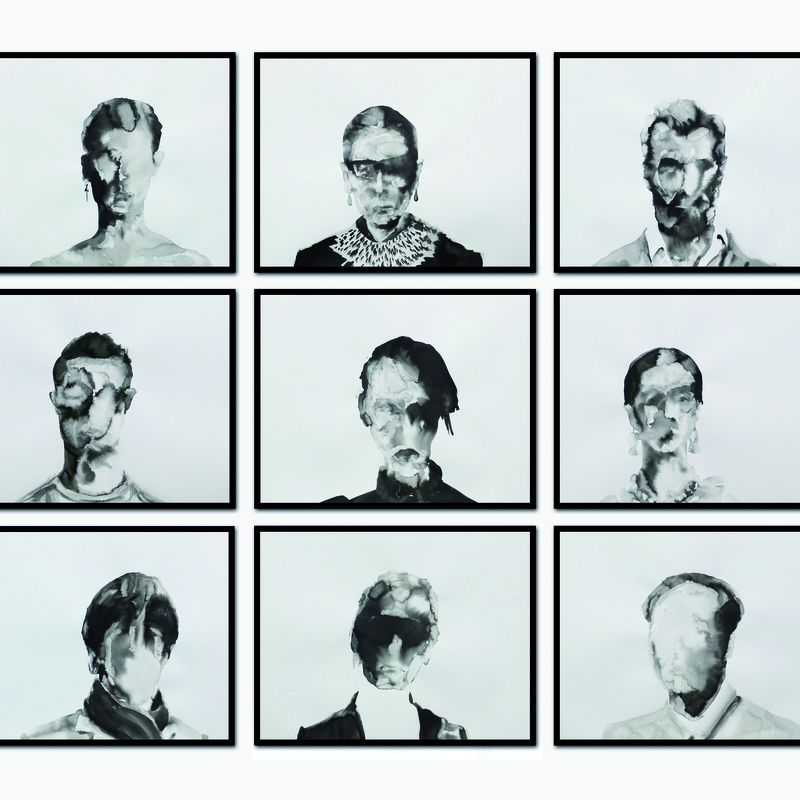 The Bulgarian-born and Berlin-based artist Ivan Kostolov is active in the field of conceptual painting. 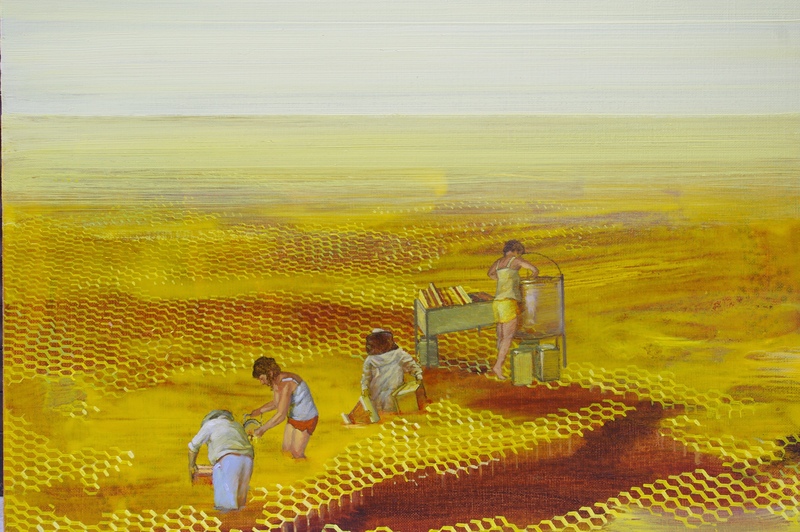 In his series “Honey,” the graduate of the Sofia Academy of Arts and Städelschule Frankfurt deals at once poetically and politically with the issues of bee death and the end of the world. 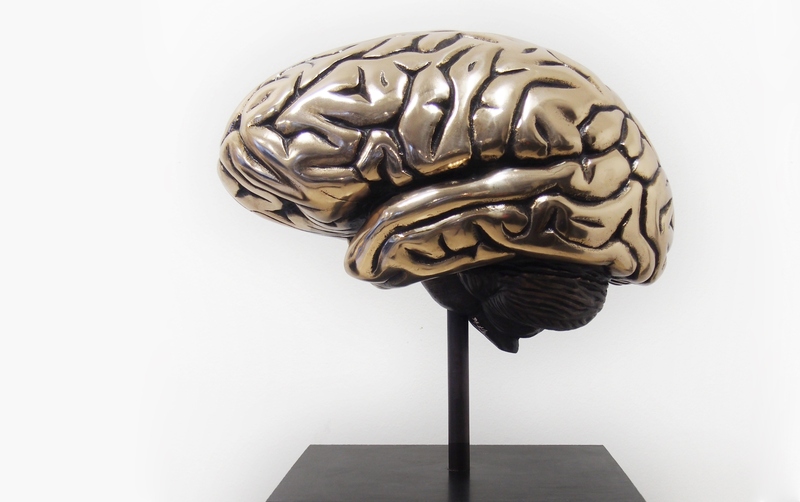 The bronze brain, one of the sculptures from the series “Evolution – Das Mysterium der menschlichen Existenz” (Evolution – The Mystery of Human Existence) by sculptor Alfred Kainz, contrasts the impermanence and variability of the human essence with the outlasting substance of sculpture. 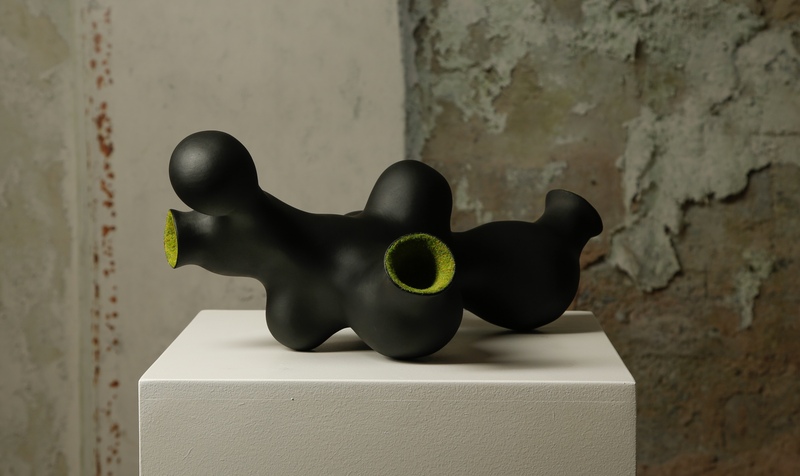 Düsseldorf-based artist Pe Hagen will be presenting offbeat biomorphic sculptures characterized by unusual surface structures and material experiments. His works, which challenge the imagination, bear names like “Siamesisches Melonensperma” (Siamese Melon Sperm) or “Vom Unsinn verfolgtes Liebespaar” (Couple Haunted by Nonsense) and, according to the artist, are meant to be unsettling, amusing, and polarising. 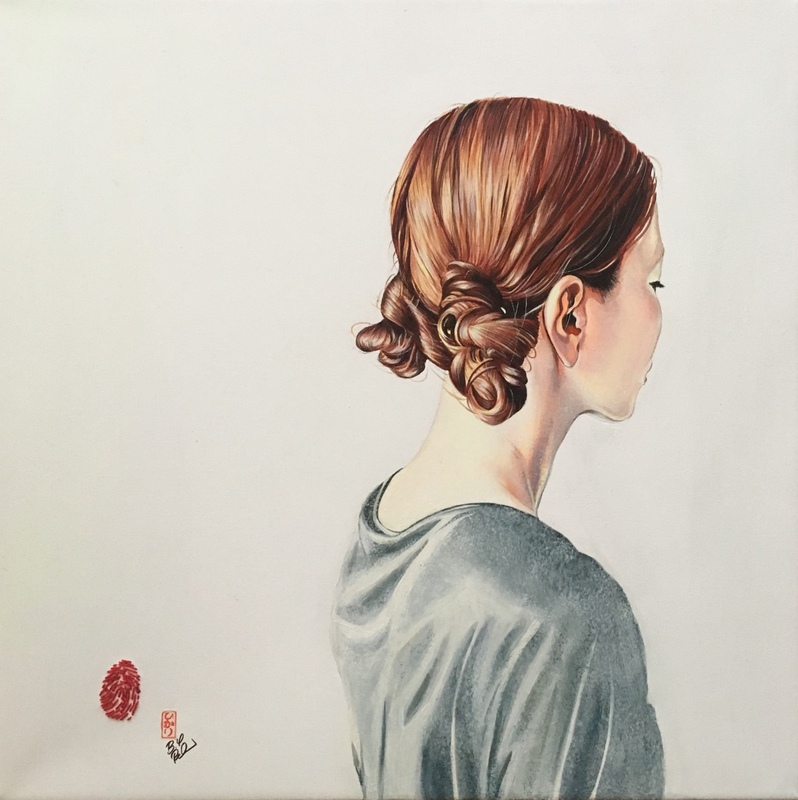 German-Japanese artist Brigitte Yoshiko Pruchnow will be showing pictures that seem photorealistic but which are at the same time very reduced and without backgrounds, depicting the back view of women. The structure of the fabrics worn by the protagonists are painted precisely and meticulously, appearing sculpture-like, so that one wishes to touch them. The oeuvre of Cyprian artist Penny Monogiou moves within the field of tension between political appeal, individual pain, and universal questions of identity. 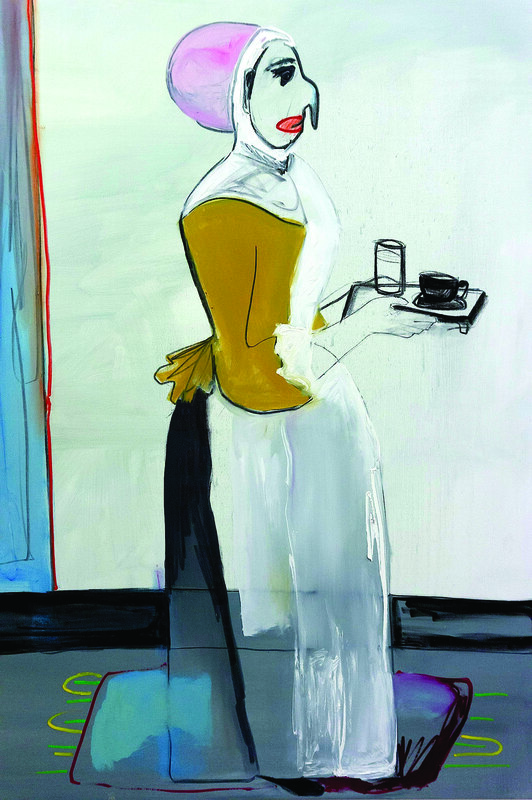 Her expressionistic portraits raise questions about the social ideal of beauty and individuality. The artist breaks the ideal by giving her faces swollen noses, giant heads, and distorted lips. In the abstract pieces from her series “Language of Light,” Scottish photographer Elaine Jeffrey deals with the perception of light through color. Even in her poetic art works devoted to the elements earth, air, and water, the transformation of surfaces through light plays a central role.